1 EPS composite board is a heat insulation sandwich panel which is made of self extinguishing plastic foam to make the sandwich material. 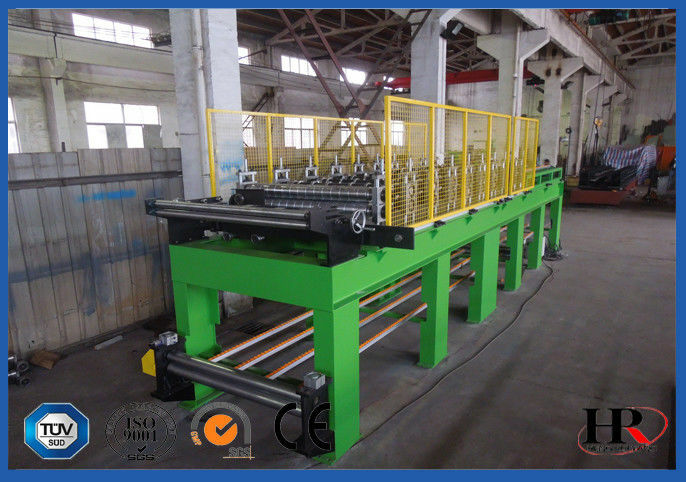 2 The kinds of EPS sandwich panel roll forming machine : polystyrene foam sandwich panel roll forming machine, polyurethane sandwich panel roll forming machine, wool panel sandwich roll forming machine . 3 The features of the EPS sandwich roll forming machine is 3 panel into 1 panel. 4 The Color steel roof panel coating steel plate has high strength, waterproof, anti-corrosion, bright color while the advantages of the EPS sandwich panel is light weight, excellent foam insulation performance, and can withstand a certain shear. The EPS sandwich panel board for large span building roof is an ideal building material. 6 The usage of the EPS sandwich panel : EPS sandwich roof panel sheet : The products are widely used in: / purification workshop condole supports, wall and purification products; / build villas, industrial plants, warehouses, with cold storage, air conditioning send wind system; / add layer of the original building housing; (large span roof panel ideal wood.